Become an official partner of our 2019 reader awards and raise your profile without spending a fortune. The Group Leisure & Travel Awards are recognised as the number one accolade in the group travel industry, and voted for by readers of Group Leisure & Travel magazine and groupleisureandtravel.com. People vote for what they consider the best, based on their experience of organising all sorts of group trips and holidays. Expose your brand to our readers and associate yourselves with the number one awards initiative in the market. To find out more and to see why this is a fantastic marketing opportunity, contact Sharon Yandell on 01908 613323 or click the button below to fill out the short form and we’ll get straight back to you. It’s not just the dinner, it’s so much more! Free table for 8 persons at the prestigious black tie Awards Dinner on 9th October 2019. You, as an awards partner will announce the winner of your chosen category and present the trophy and framed certificate on stage during the evening, together with our VIP celebrity guest. Logo in Awards Dinner Porgramme & Menu which are on every table and in the drinks reception. Logo on voting promotion pages in the magazine. 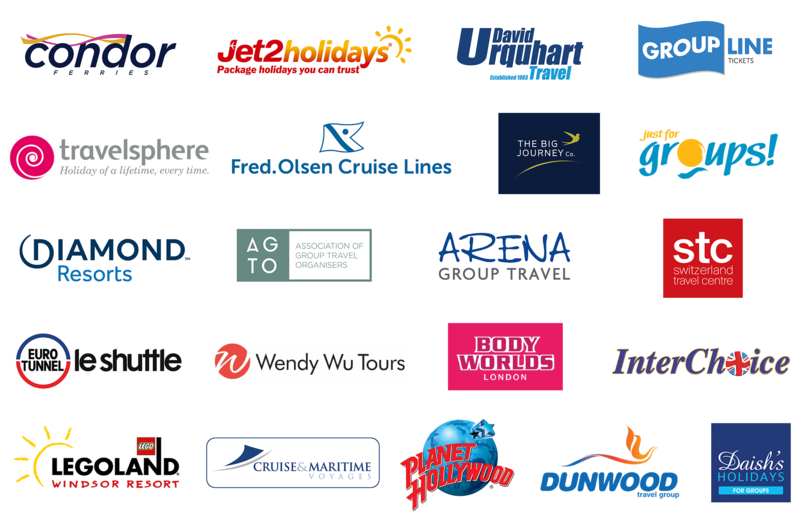 Logo and acknowledgement on the main awards page of the Group Leisure & Travel website. Logo included on a range awards e-mail marketing, including voting promotional activity. Logo included on the stage set at the ceremony at various times throughout the event and when you present your category. Your awards partnership support announced from the stage by the presenter. Inclusion in Group Leisure & Travel Awards Photo Review in the magazine and online galleries following the Awards Dinner, pictured with the winner of the category you have sponsored. * A free page in the Awards Brochure is included with 2019 packages at full price. Terms and conditions, as well as rules and regulations apply. For full details click here. The Group Leisure & Travel Awards and its Dinner is the most important annual event of its kind and at only £3,500.00 +VAT (£3,995 +VAT for the GTO of the Year Award sponsorship) it is, without doubt, the most prestigious and cost effective branding promotion with regular frequency you can obtain. Over the year you will have exposure to thousands of readers through the magazine plus many thousands more visiting groupleisureandtravel.com every week. Take a look through the winner photos from the Group Leisure & Travel Awards 2018 ceremony presentations.